Shares of Deutsche Bank fell 7.2% today in Frankfurt to €9.16, the lowest since they started trading on the Xetra exchange in 1992. They’re now lower than they’d been during its last crisis in 2016. And they’re down 71% from April 2015. The Fed’s downgrade a year ago of Deutsche Bank’s US operations to “troubled condition” was what apparently nudged the FDIC in Q1 to put the bank on its Problem Bank List. The Fed’s ranking of banks is also a secret – for a good reasons: When these things come out, shares plunge and investors lose what little confidence they have left, as we’re seeing today. This loss of trust can entail larger problems that then coagulate into a self-fulfilling prophesy that perhaps should have self-fulfilled itself years ago. “CoCos” are designed to be “bailed in” before taxpayers get the bill. Thus, they count as Tier 1 capital, and they’re a gauge of these investors’ fears about getting bailed in. 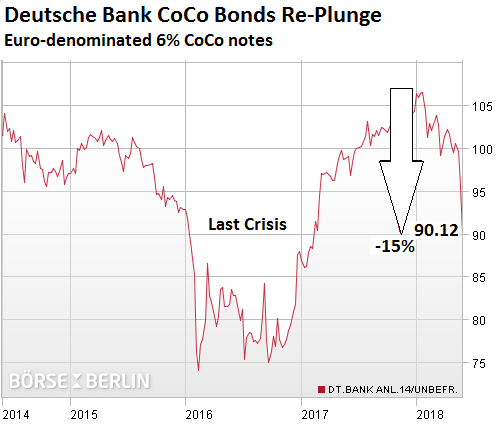 Since the Financial Crisis, Deutsche Bank has sold several waves of these CoCos. Unlike most other bonds, they have no maturity date. But the bank can redeem them, usually after five years. Annual coupon payments are contingent on the bank’s ability to keep its capital above a threshold. If capital falls below that threshold, the bank won’t make the coupon payment. But this will not count as a default, it’s just part of the deal. If regulators deem that the bank is failing, CoCos get “bailed in,” either by getting converted into increasingly worthless shares or by getting canceled. To make these risks worthwhile, CoCos offer a high annual coupon. The 6% CoCos in the chart above, when they still traded at 106 cents on the euro earlier this year, yielded 5.7%; at today’s lower price, the yield has jumped to 6.7%. In other words, investors demand to be paid more to take on the risks of getting bailed in. Deutsche Bank has been whacked serially by layoffs, strategic redirections and misdirections, CEO chaos, three years in a row of big losses, and many billions of dollars in fines – the price it is now paying for having gone from a stodgy German bank that was taking care of its industrial customers in Germany to a global powerhouse with one of the riskiest, most far-flung operations around. Fed supervisors grew exasperated with its shortcomings in systems and controls and the slow pace of improvements, people familiar with internal discussions said. Deutsche Bank’s U.S. operations have drawn regulatory ire for years. They received a stinging rebuke from the New York Fed in 2014 about repeated financial-reporting failures and lack of follow-through on promised fixes, The Wall Street Journal detailed. Deutsche Bank U.S. operations failed the Fed’s stress tests in 2015 and 2016, and in 2017 was the subject of multiple Fed enforcement actions for perceived lax controls tied to currency trading, money laundering, and Volcker-rule trading restrictions. It won’t buckle. DB gives Super Mario and Germany a convenient excuse to do whatever it takes. My question is; Why wasn’t the public told at the same time insiders learned? Because the public owned the shares and the bonds and shouldn’t have known because they would have sold otherwise? 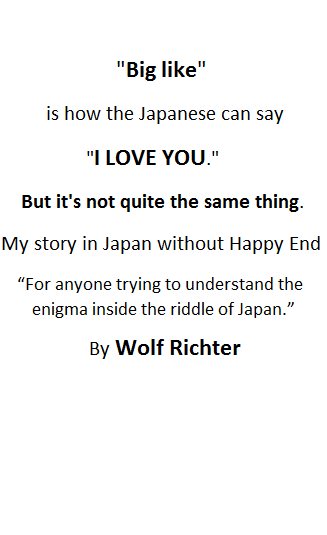 Her Richter, you may be shorted listed for an Elementary dear Watson award. The surge in chart value and the DB value, are to coincidental. And we both know “There is no such thing as coincidence”, Ask any police officer, Judge, or Attorney. I would say (DB US At least) is up for a white knight Intervention/Acquisition. Again, the world of modern finance leaves me scratching my head. Who would buy something this risky, where the potential outcome is 6% yield , or you lose all your investment capital? It seems like a lousy bet, especially with an entity this risky. Unless of course it’s not your money to begin with. …. Unless of course it’s not your money to begin with …..
you have so much money already that any lose is minimal but worth the gamble for the gain. Not sure where I read it, but there seem to be a view among fund managers that it is better to go down with the market than to be cautious and underperform your peers. That would explain a lot of this seemingly crazy behavior. You’re correct. That is totally standard. That’s exactly what they teach you in that business. A financial advisor can get sued for failing to follow this logic. Isn’t that what makes all the lemmings run off the cliff together? Because pension funds are screaming for return on capital, and hence needs to take a risk to stay afloat. 1% in lala euroland for years just wont cut it. Deutsche Bank will be saved by Germany. Correct. Germany will not allow DB to collapse messily. Perhaps shareholders will get wiped out, or nearly wiped out, and probably CoCo bonds will get bailed in, but the bank will not be allowed to collapse. The bailout could take the form of a big equity stake by the German government — say, when shares trade at €4 — which will automatically dilute existing shareholders to nearly nothing. The German government might then shed risky overseas units and shut down others, and return the bank to serving German industry and commerce, and of course retail banking too. Neither Germany or the rest of the financial world can afford not to rescue Deutsche Bank (DB). DB is simply too big and, more importantly, to systemically important to be allowed to fail. Unfortunately because DB and any other bank ought to be allowed fail. These banks were all rescued in 2008, it is intolerable that they need rescuing again. Of course it should never be the case that a bank, any bank, be allowed to get so big, and so systemically important, to be have to be saved. The behaviour of these banks generally has been unconscionable as reckless and they should be left to their own devices to survive. I despise centrally planned capitalism. I have to disagree, they may want to keep DB solvent, however 46T in derivative exposure will dwarf any amount of money Germany has, it’s entire GDP in 2015 was 3.2T to bail them out, and if they default so will the rest, Citigroup, GS, etc, etc. It seems curious to me that DBTCA can be in trouble after 10 years of ZIRP and before all the US debt bubbles start bursting in earnest. Almost all the other banks have been able to rebuild their capital, as evidenced by your first chart. I wonder if the parent has transferred a bunch of troubled loans to DBTCA as a way to get them off the books of other subsidiaries. Stuffing a bunch of bad loans into a subsidiary in order to let that sub fail would be a nasty trick to dump bad loans on the FDIC. If something like that is going on, I hope the FDIC is quick on the trigger to force a sale of DBTCA soon enough so the FDIC fund doesn’t have to cover losses. Good points Eastwind. I wonder what the potential liability the FDIC may have over any derivatives that are on DBTCA’s books. This is not new, as Pam and Russ Martens wrote this at the end of September 2016. No one ever lost a dime on FDIC-insured deposits, not even during the Financial Crisis. So that’s not really the big issue here. The bigger issue would be uninsured deposits (large business accounts), counter-party risk in complex transactions, etc. Actually, from here that does not seem like a ‘good reason’ to keep such Troubled Banks lists secret. Its the same argument we hear about torture. We are told that pictures can not be released, that reports can not be released, that the democracy can not know what its government has been doing because “that would damage America’s reputation.” When in reality, America’s reputation was damaged when the torture was approved and committed. Same with the bank list. Its not the act of putting the bank on the troubled banks list that actuallly damages the reputation of the company. Its the actions of the bank that led it to that state in the first place that ‘damaged the reputation’. Such lists should be made public. Then, knowing the consequences of appearing on such a list might make the bank officials act in a more responsible manner to stay off the list. That’s called a free market. Secrecy distorts the free market by denying the market the information that it needs to do its job of pricing and allocating resources. I’m being silly here because I don’t know why DB got into this mess but my joke is that the US operation was a bad influence. Every day at the moment DB are getting hit by a bad news story, cartel story today. What with the tariff wars starting as well the DB shares are in for another painful day. 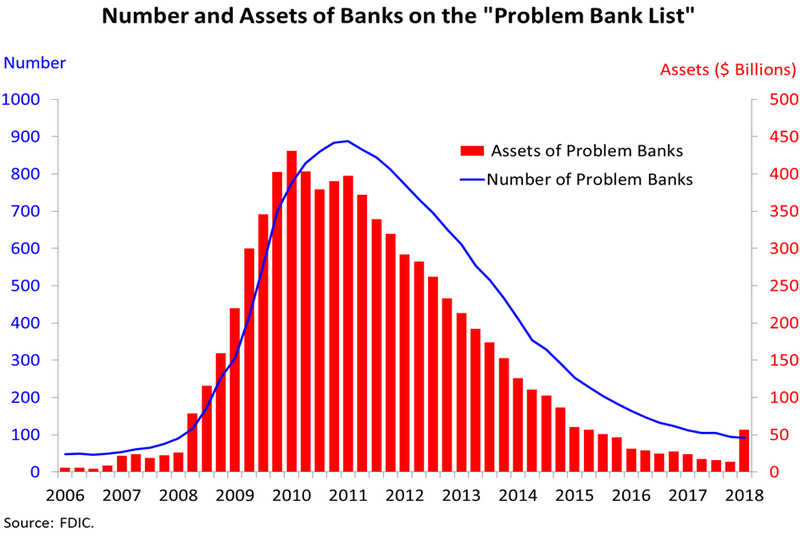 Whilst most big banks in the last ten years have sorted out their issues DB is on which seems to have done nothing until now? Repercussions on failure would probably be political and encourage the Germans to become more German – this could influence attitudes towards Italy, EU budget, single currency etc. and show up in the polls via AfD. Germany is becoming tired with paying for everything whilst being blamed if others can’t compete. DB could be the straw that breaks the camel’s back. Jeffrey Snider has pointed out that the problem with Deutsche Bank is that back in the early teens, it made the mistake of believing the Fed’s claim that the economy was about to take off. So DB went all in for the kind of trading that brought about the GFC pre 2007. After 10 years of economic stagnation, DB has been burned badly by believing that the Fed knew what it was doing. Other banks should take note. Hand writing is on the wall. Therefore, DB is TBTF. “It” can, and “it” will, do whatever “it” wants and, if recent history is a guide to the future, what “it” apparently wants is to perform worse and even worse as time goes on. What I want to know is the following. WHO or WHAT is “it” that is “deciding” that performing worse and even worse is the best way to perform as the future becomes the present? Maybe “it” is the very same WHO or WHAT that is “deciding” that the best way “forward” for future US taxpayers is to go from having to “pay back” $21 trillion in “national” debt to having to pay back $30 trillion in national debt. In other words, the US government’s plan for the future is to go ever deeper into debt. As incredible and ridiculous as it may sound, the model — the experiment — that the increasingly-desperate Elite are trying to foist onto the people of the world all boils down to one thing: Humanity’s ultimate purpose is to SERVE the TBTF banks (more specifically, the Elite that runs and profits from them), NOT THE OTHER WAY AROUND — THE WAY THAT THINGS USED TO BE BEFORE this ongoing experiment. Not so subtly, what the Elite are threatening us with is yet another “this sucker could go down” crisis, and that in order for “us” to avoid this, the Elite’s TBTF banks must FIRST have absolute control over each and every THING and each and every PERSON on planet earth, and that WE are going to have to pay THEM a lot more money for their services. Again, the list of those TBTF banks has already been created for all to see. The only remaing question is: just exactly WHAT are “we” going to have to do to prevent them from failing? Put differently, how much are “we” going to have to give to “them” to keep “them” alive? This is why I believe that you dig yourself into a pit , You must be able to get yourself out. That is what bankruptcy was designed for. For those unable or unwilling. Never throw good money onto bad. Looks like the “bailout “ money has about run out. Time to fold. This is more of the same. What’s new is the populist rhetoric. Trump wants to tweet German automakers out of the US. How does he feel about German banks? Or does the Fed just give them Double Secret Probation? We do know that Yellen had some big US banks take on DBs derivative book, CITI and Chase acquired unregistered derivatives, and in the process they became registered. Who filed off the serial numbers? Currency derivatives are largely unregistered anyway, and although LIBOR tracks the Fed rate cross ocean banking is a house where one room has the thermostat turned up and the other wants to cool off. What about THEIR yield curve? Germany may be the money boss of Europe, who is the boss of Germany? So is the end of the cabal of global central bankers on speed dial? I really don’t consider that the FDIC has any teeth, unless someone wants them too. President Xi is looking forward to receiving Mr. Hank Paulson. THE Chinese peoples gold is available for Mr. Paulson ‘s inspection? A very secret look at the very secret debate that took place this morning in the Fed Control Room over how to deal with the ongoing financial crisis that started in ’08 and is only getting worse as time marches on. I absolutely agree with what the “financial expert” recommends beginning at 19 seconds into the top-secret video. This list: https://www.relbanks.com/top-us-banks/assets shows “DB USA Corporation (DB USA)” at number 23 with assets of 148.248B. How to square that with the 42.1B number reported for DBTCA here? With different names, are these different institutions or subsidiaries? Is the comparison apples-to-oranges in some other way? The list I linked appears to be from 2017 – if the two institutions are the same, and both numbers are total assets, then they’ve shrunk a lot in the last few months!